Jeff Sessions likes mass incarceration | Pulitzer Prize Winner Cynthia Tucker | Journalist. Professor. Progressive. With all the mayhem and malfeasance emanating from the Trump administration, it’s hard to keep up with the myriad policies and practices that are doing harm to the nation. That’s especially true at the Department of Justice, where Attorney General Jeff Sessions seems determined to turn back the clock to a meaner, harsher era — a time when justice was reserved for a privileged few. 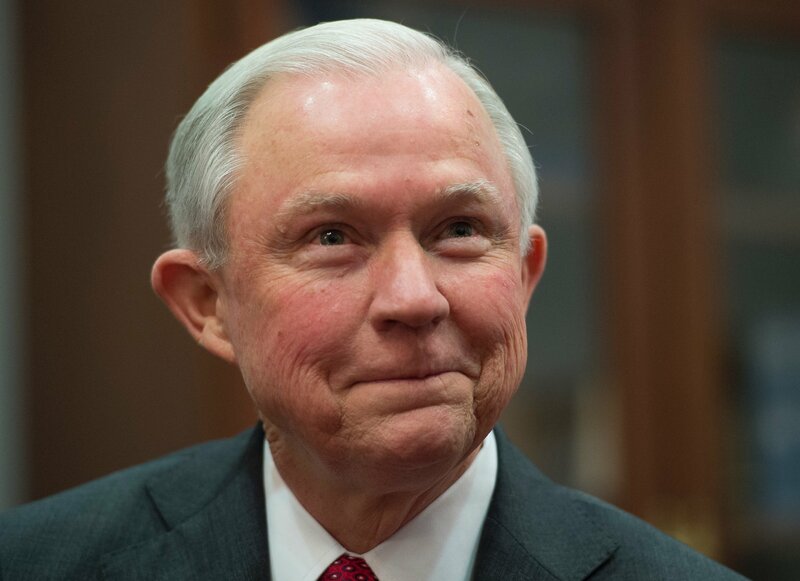 Sessions recently announced his intention to return to the discredited practice of locking people up for long stretches for drug crimes. Reversing a key policy of the Obama administration, Sessions told federal prosecutors to seek the toughest possible charges in drug cases. He was right. After decades of a grim, costly war on drugs, many Americans had finally come to realize that meting out long prison sentences for drug offenders, especially low-level users and dealers, was a mistake. That policy didn’t curb drug use. It only ensured that poor black neighborhoods were deprived of young men in the prime of their lives, leaving families without fathers and providers. Even some conservatives had come to understand that the United States locks up far too many of its citizens. Their epiphany may have been prompted by the opioid epidemic, which has struck far more white families than black ones. With this new scourge of illegal narcotics use, conservative lawmakers have been much more likely to push for treatment than for prison time. The timing is right to step back from mass incarceration. Crime, after all, has been falling for decades. Violent crime rates reached their peak in the early 1990s and have been dropping ever since. Even though a few cities have reported upticks in the murder rate — Chicago and Baltimore notable among them — the homicide rate is still much lower than it was in, say, 1989. But the funny thing about Trumpworld is that its propaganda preaches the exact opposite. If you paid any attention to the president’s campaign speeches, you heard him describe urban areas as bleak, crime-ridden dystopias. (You’d think the man didn’t live in Manhattan.) And his followers believe him — applauding his disparaging portrayal of urban areas with substantially black populations. The creation of an alternative universe where rightwing propaganda is the biblical truth was the triumph of the late, not-so-great Roger Ailes, who started Fox News. Its audience has become increasingly unmoored from reality as it burrows more deeply into a world where up is down, war is peace and Democrats are the arch-enemy. Their illogical belief system remains intact even when it collides with the reality at their fingertips. They may have family members — sons, daughters, grandkids — who are heroin addicts. Trump voters demand mercy and treatment for them. But their insistence on a harsh justice for black lawbreakers is unimpeded. Sessions, too, is guided by a cognitive dissonance grounded in racial prejudices. He was a federal prosecutor in Alabama during the crack epidemic, and he brings an arsenal of outdated notions about that era to his current post. He also brings a set of outdated views about the use of marijuana, which he sees as a serious crime. He is likely to crack down on the handful of states that have allowed legal marijuana sales. 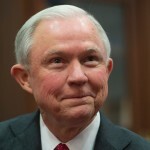 While federal law enforcement agents don’t make nearly as many arrests for drug crimes as local police do, Sessions’ views still carry a great deal of weight. He will exert influence on local prosecutors around the country who believe his foolish notion that lax enforcement of drug laws has led to a rise in the murder rate in a few cities. It will be difficult, though, for those prosecutors to lock up black drug dealers while ignoring white ones. If they mete out their harsh drug laws uniformly, Trump’s supporters may be forced to come to terms with a reality they have suppressed.